European Union leaders meet in Brussels on Thursday to agree new measures to restrict arrivals across the Mediterranean as growing popular discontent over immigration puts pressure on governments from Germany to Italy. With populist and right-wing parties on the rise across the EU, the bloc will move to tighten its external borders and assign more money for countries in regions such as Northern Africa to prevent people from getting into Europe, according to a draft statement of the two-day talks. But EU leaders are deeply divided over what to do with legitimate asylum seekers who make it anyway, fleeing conflicts in the Middle East and Africa. The row has split them bitterly for three years and shows no signs of abating. Chancellor Angela Merkel is under pressure from her coalition partners to stem immigration to Germany, while Italy has long been overwhelmed with arrivals and the new government there rejects any moves that would see it handle more people. At stake is EU members' unity and trust in each other, as well as the bloc's Schengen zone of control-free travel. Unless a pan-EU solution is found, some countries are threatening to slap border checks to fish out migrants they do not want. That would also hit business and travel across the bloc, threatening many jobs among the EU's half a billion people. Leaders are also set to clash over curbing so-called secondary movements of immigrants, where people arriving in coastal states such as Italy make it to the wealthiest ones like Germany across the EU's invisible borders. If she is unable to get an EU-deal on that, Merkel has said she would seek bilateral accords. The one she needs with Rome would be particularly difficult to pull off. Differences between EU leaders have played out prominently in recent days, laying the ground for what is certain to be a fraught discussion behind closed doors. Political pressure runs high, despite the fact that sea arrivals stand at 44,000 people so far this year, according to U.N. data, a far cry from the 2015 peak when more than a million refugees and migrants got in. In public, the 28 EU leaders will attempt a show of unity to convince their voters back home they are in control and there won't be a repeat of 2015. Opinion polls show migration is a top concern for EU citizens. One new idea they have is for "regional disembarkation platforms" around the Mediterranean, where the EU would hold people who try the dangerous crossing, assess their asylum requests and hold those who fail before they are sent back. There are multiple legal, security and rights-related challenges to the plan and no country outside the EU has so far been willing to host such sites, which the bloc insists would not amount to "camps". No quick decisions are expected on that, but the EU hopes the political backing for such an idea would provide enough ammunition for Merkel, Italian Prime Minister Giuseppe Conte and others to take back home and stave off the challenge from those advocating an even tougher course. The summit chairman, Donald Tusk, says the stakes are high. "More and more people are starting to believe that only strong-handed authority, anti-European and anti-liberal in spirit, with a tendency towards overt authoritarianism, is capable of stopping the wave of illegal migration," he said. "If people believe them, that only they can offer an effective solution to the migration crisis, they will also believe anything else they say," he added. "Time is short." Beyond difficult discussions on migration, the EU will try to close ranks on trade in the face of increasingly hostile policies by U.S. President Donald Trump, who introduced tariffs on EU steel and aluminum, and is now mulling the same for cars. EU leaders will discuss security before the July 11-12 NATO summit and an EU-NATO summit before that, and are due to extend their sanctions on Russia - a theme where the reluctant Conte plays a key role again as any such decision requires unanimity. 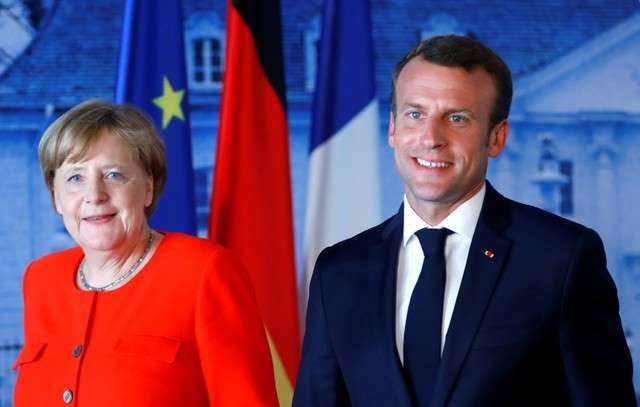 They will discuss their next, seven-year joint budget from 2021 and push forward with some Franco-German proposals to beef up the euro zone. They will listen as well to British Prime Minister Theresa May's update on her Brexit plans. On Friday, the remaining 27 leaders without May will issue a warning that divorce talks are slow, most notably on the highly-sensitive issue of the Irish border, according to the draft statement. Countries, business and people should plan for a worst-case scenario in which Britain crashes out next March with little clarity of what comes next, they will say.